There will be four (4) floor Committees to discuss on the agendas that have derived from the reports of the Head Bishop, the Assistant Bishop, the General Church Secretary and the Treasurer. Committee discussion will began on Wednesday 11th January 2012. Facilities Improvement Capacity Empowerment /Tisa (Ministerial) (Refer to page five to page nine for more recommendation). Ministerial Department. Human Resource (page 3C,Pastors). (b) Wokabaut Bilong Gutnius Em istap olsem wanem now? 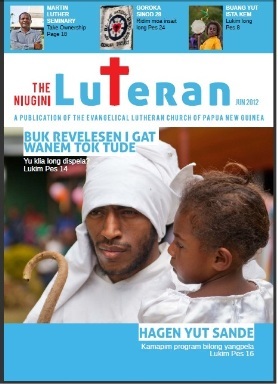 (c) Seminari graduates to all parts of ELC–PNG instead of their districts (Bishop’s report).